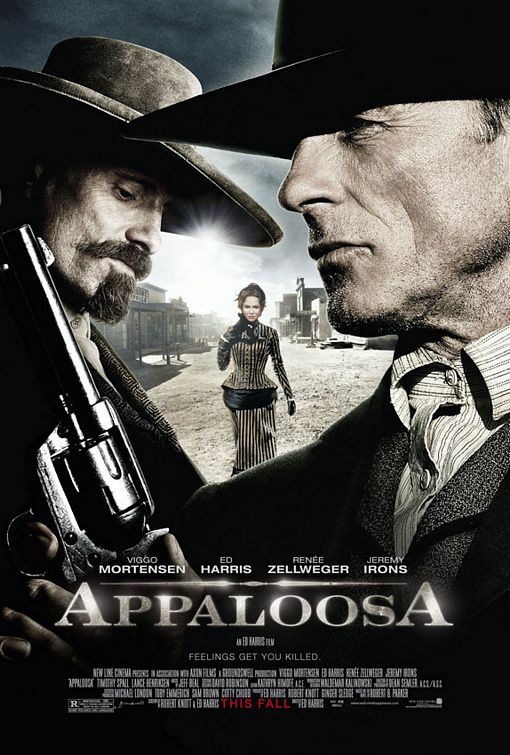 BIG MOVIE FREAK: Upcoming movie: Appaloosa! A Western starring Viggo Mortensen and Ed Harris and directed by Harris himself, and nobody told me about this?? And what in tarnation is an Appaloosa? (Apparently, it's a horse. Hidalgo all over again?) Hell and damnation I'm gonna get meself a ticket this coming October the 3rd, mark my words!